Hi ya’ll, its Kylie, also known as The How To Mom. I know I’m not the only mama with a fidget spinner fanatic in the house! 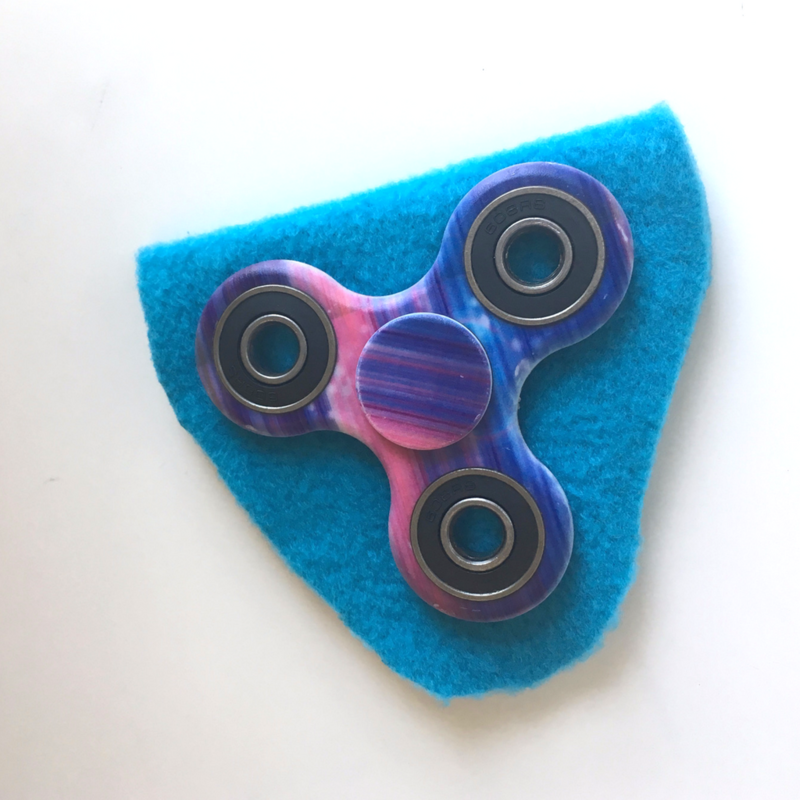 My oldest daughter earned the money for her fidget spinner recently and wants to be very careful with it. It miiiiight have something to do with the fact that she doesn’t want to do another 3 hours of chores to get a new one if hers breaks! 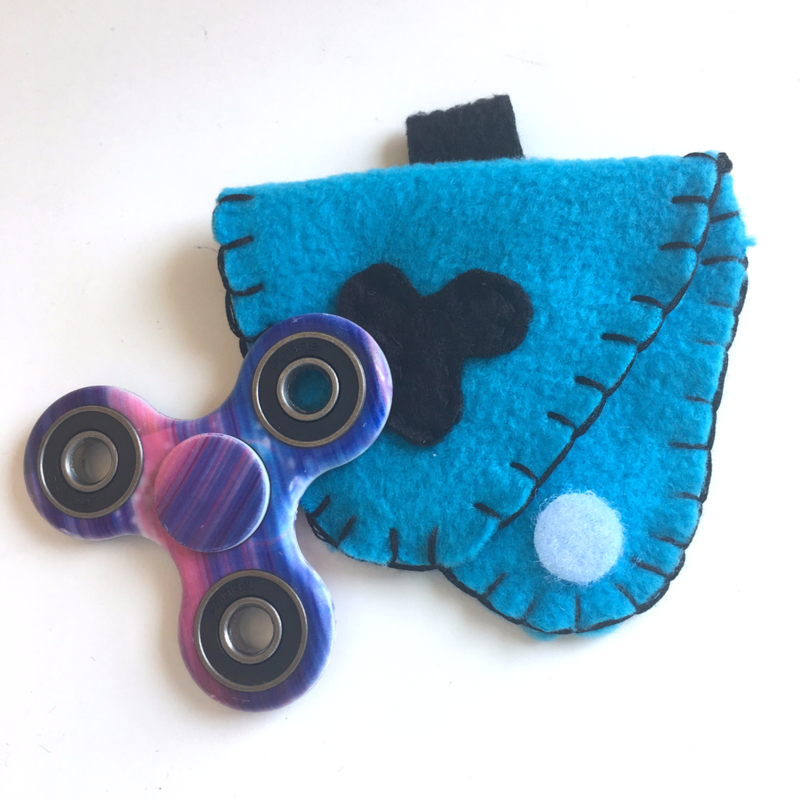 So we came up with the idea to make a fidget spinner case to help protect it from bumps and sand. 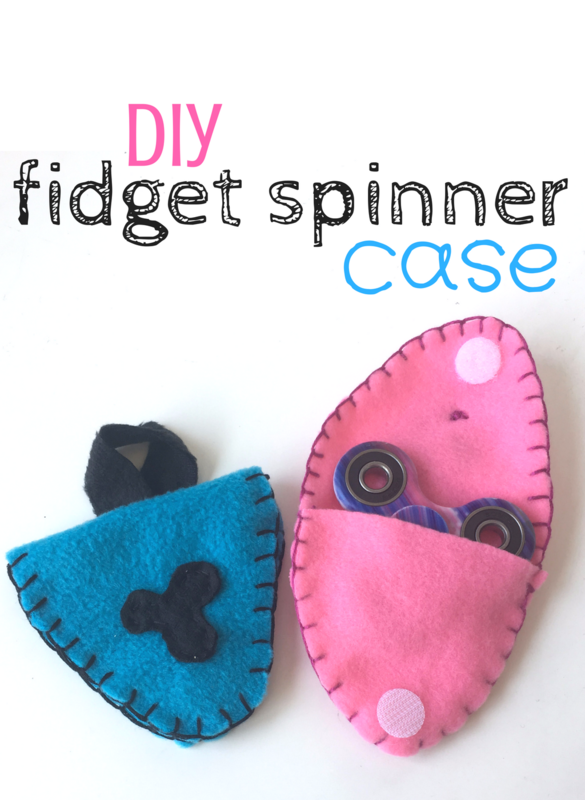 This fidget spinner case is a really easy sewing project, perfect for beginners and easy enough for older kids. You don’t even need a sewing machine, the case looks great hand-stitched together. You could use any type of stitch you’d like. I used a “blanket stitch” because I like the fancy edge. 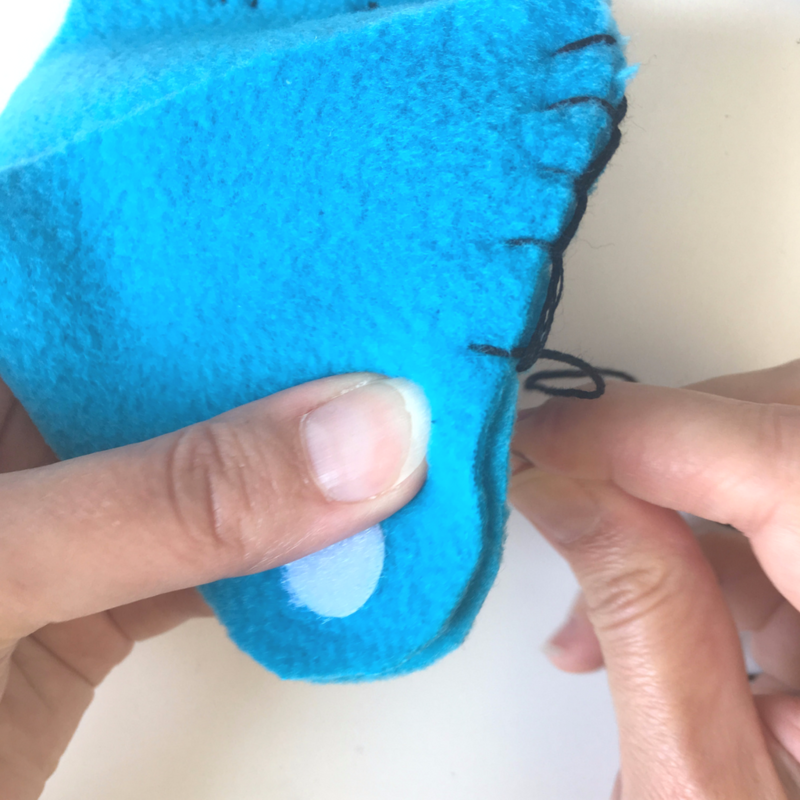 But kids could experiment with how to make different stitches and see what they come up with! 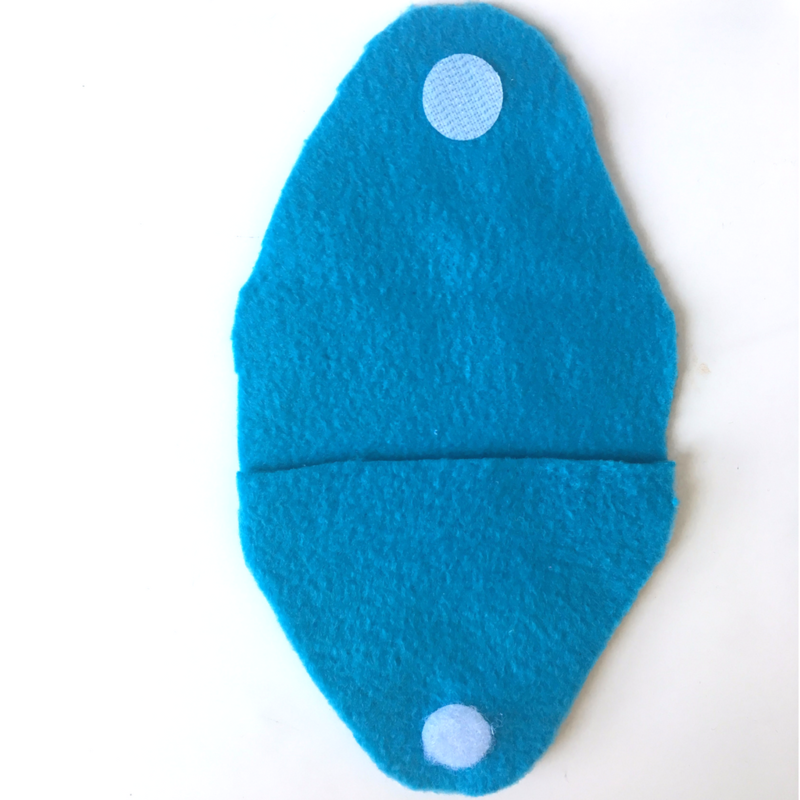 Materials needed: fleece scrap (about 12 inches by 5 inches), adhesive velcro dots, needle, thread. 1. 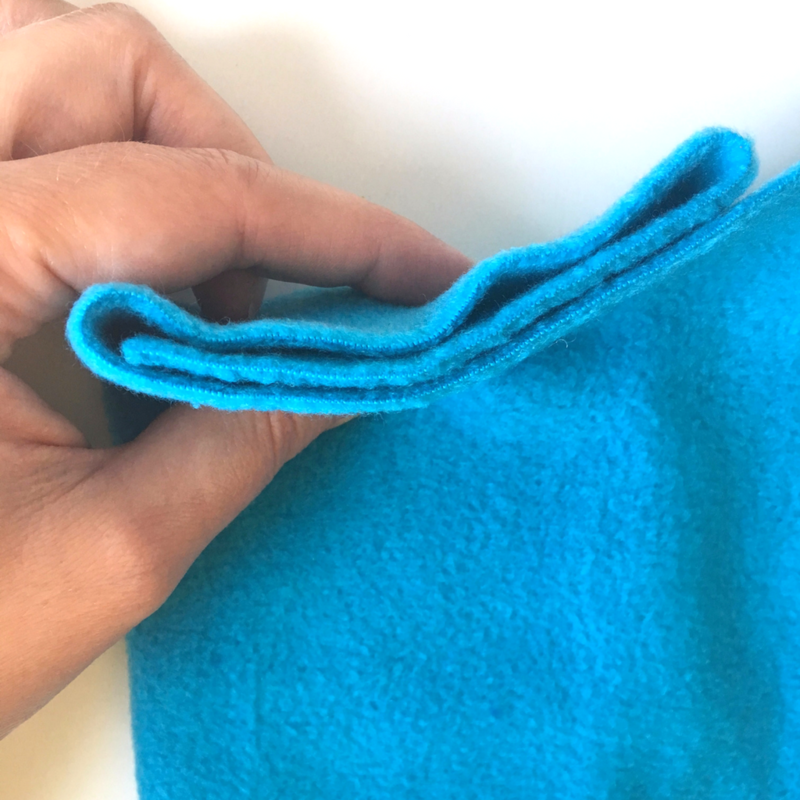 Fold the fleece so that you have three layers of fleece, and lay the fidget spinner near the top fold. 2. Cut around the fidget spinner, leaving about a half inch of space for seam allowance. You should end up with a large oval-ish piece and a triangle piece. 3. Attach adhesive velcro dots, and sew on a handle or any embellishments. 4. 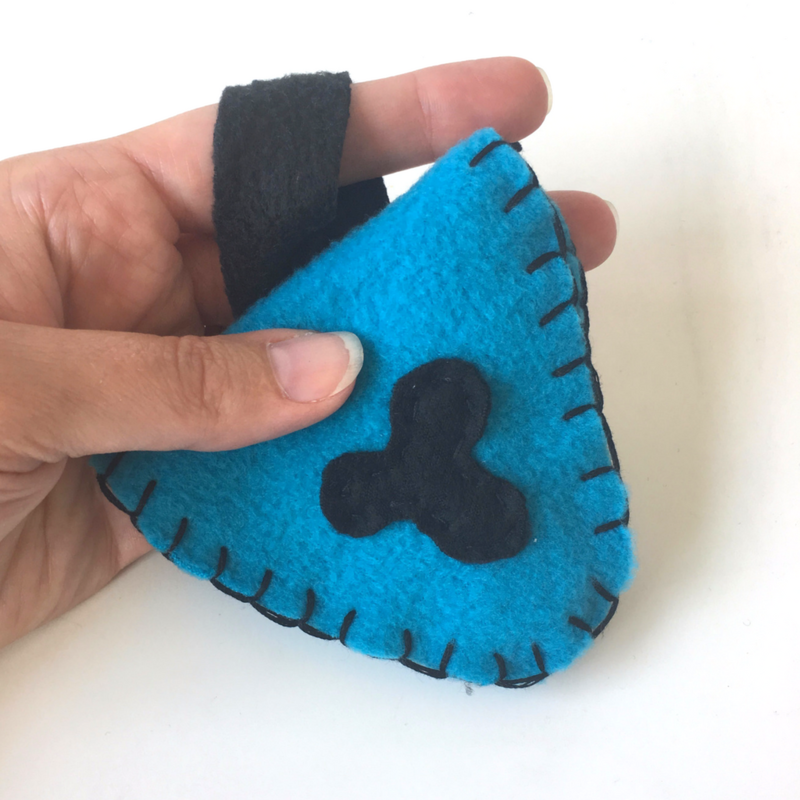 Stitch the pouch together. 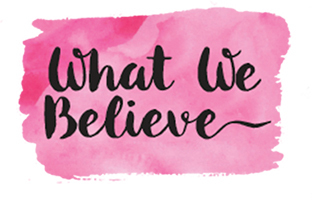 I love to share a basic idea, and offer lots of room for customization or adjustments. With this project, you really could use any fabric you’d like. I used fleece because its kinda cushy and won’t fray around the edges. Felt would be another good option. I considered making a tie closure, or maybe even a button. But I had adhesive velcro dots on hand, which sticks to the fleece surprisingly well! I attached a small strap to be used as a handle. My daughter suggested that we try making a purse-style case next time. A lanyard or carabiner might be practical options too. 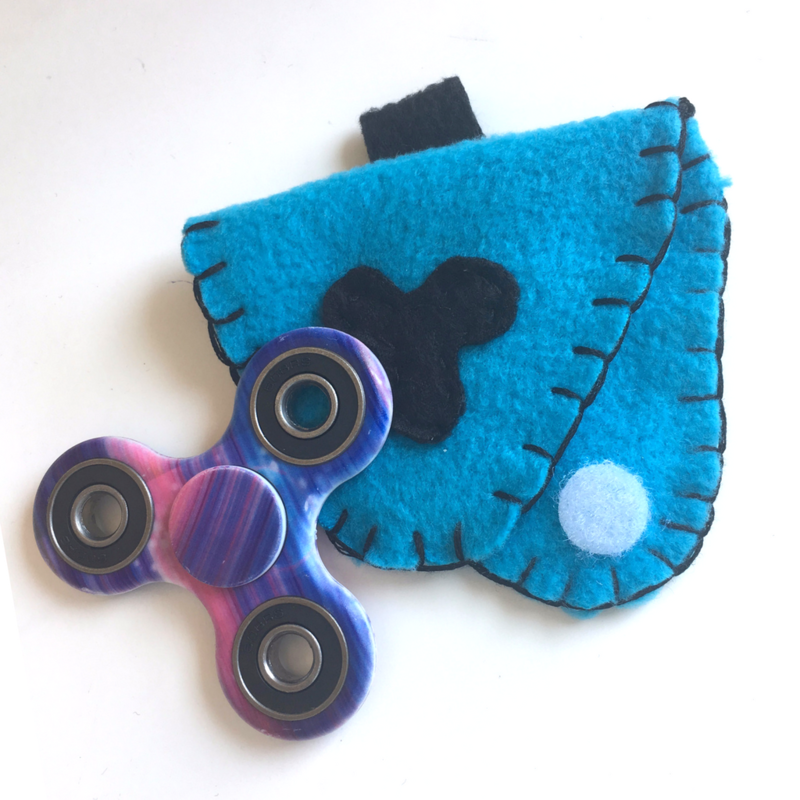 As you can see, there are LOT of ways to customize this fidget spinner case! 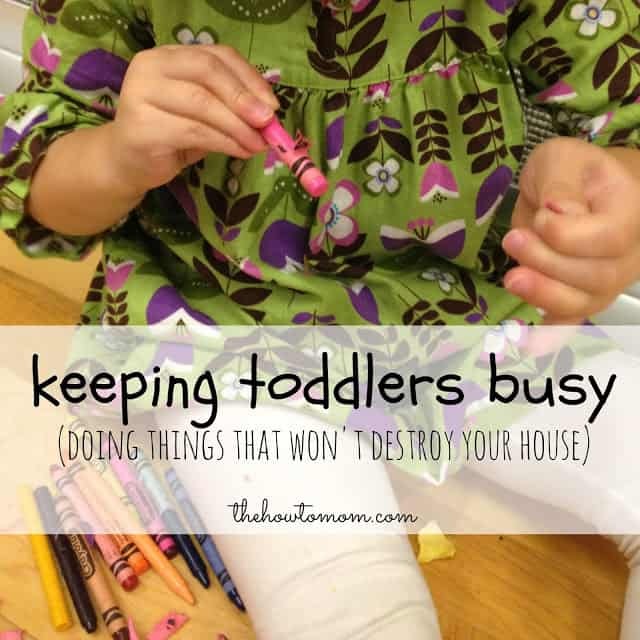 So let your little crafter help you come up with the perfect plan. And keep on spinning! 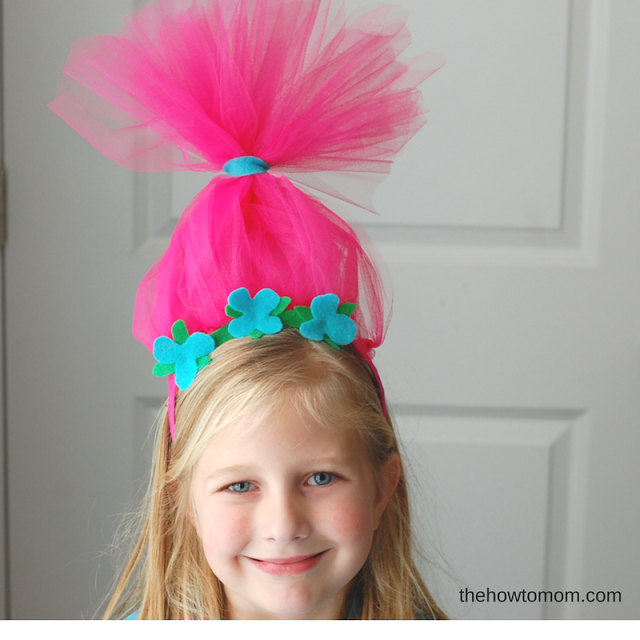 I’d love to have you stop by The How To Mom and see some of my other fun kids projects and ideas! You can also find me on Instagram @thehowtomom or on Facebook at The How To Mom. 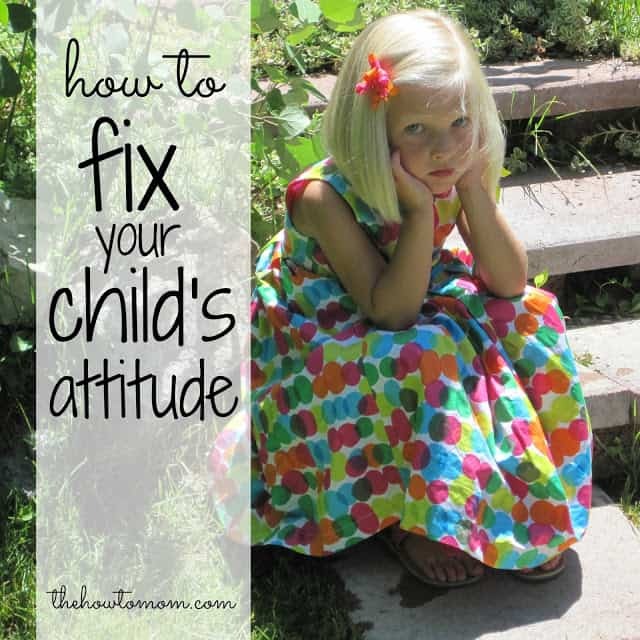 How to fix your child’s attitude. 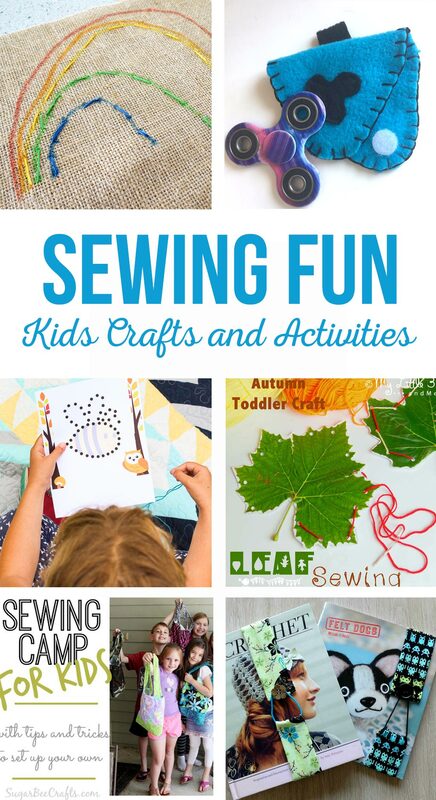 Want some more fun Sewing fun!